The actual coordination of a cardiac team can be a little daunting. At times it certainly gets a bit stressful and a tad overwhelming. There are so many checklists of various things that need to be completed – volunteers, patients, equipment, freight, local staff, registrations, travel arrangements, the list goes on and on. And when all is done, well it is showtime. 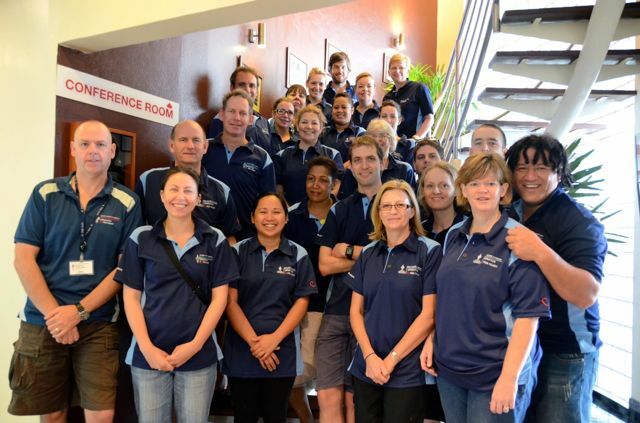 We are ready for the most important – the volunteer team to descend on Suva. As people arrive the is the friendly buzz of renewed friendships and new acquaintances. These are the people that for the next two weeks we are going to work with, play with, dream with and in Fiji’s tropical weather, sweat with. It’s certainly like an extended family. Everyone is eager to get up to the CWM Hospital and make sure we are ready to operate. The is the nervous tension of getting there and setting up in a couple of hours so we can start operating.